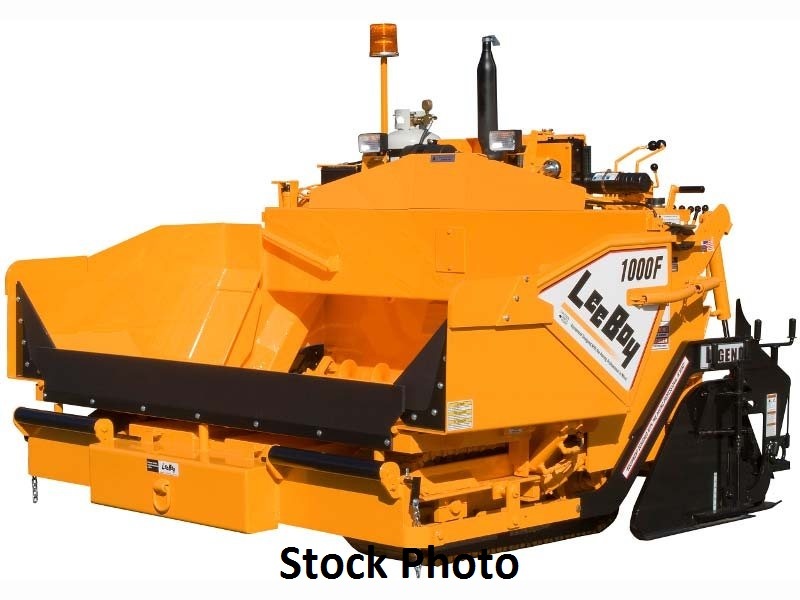 LeeBoy Legend Screed System On a 1000F paver the popular Legend Screed comes with two propane burners on the main screed and one burner on each extension. The wear plate is made of 3/8-inch AR400 steel, a special long-wearing, hardened material that is bolted on for easy replacement. A 3,200 VPM vibratory unit on the main screed is available to enhance mat compaction. The hydraulic screed extensions-unique to the LeeBoy Legend Screed System-are mounted in front of the main screed and are easily adjustable, resulting in a seamless mat at paving widths up to 13 feet. The operator area allows easy access for the operator to move across the screed to either the left or right side controls. Under auger cutoff doors give the operator control of the head of material at the main screed and extensions while also leaving less material to be cleaned up at the end of pulls. The hopper on the 1000F can be raised higher than any other paver in its class allowing for optimum material flow-even on steep grades. The hopper wings, which open to 9 feet and fold to a compact 8-1/2 feet, are hydraulically-controlled from the operator’s position to move material off the wings and into the hopper. One lever controls raising and lowering the hopper and folds the wings. The durable, hardboard, rubber guards on the front of the hopper are longer lasting and prevent spillage. The compact size of the paver allows for easy loading directly onto a trailer for transport. The 1000F is configured with a track drive system. The track drive has single-speed dual motors connected directly to torque hubs which eliminate chains and adjustments. Undercarriage maintenance is reduced with the addition of two automatically adjusting track tension cylinders.